In the summer months of 2013 it stayed an average of 110 degrees in Nogales, Arizona. All the motor officers complained about the cotton/wool long and short sleeve duty shirts. These duty shirts were hot and uncomfortable to wear. All the officers were sweating excessively in these shirts all day long. Not only could the sweat be seen by the public during the day, at the end of the day the upper parts of the shirts were white from the dried sweat. After wearing the new Moto Duty Shirt the Nogales Police told Motoport that it was the best shirt ever worn. No sweat showing, no staining and far cooler than the short sleeve traditional duty shirts. Even works well when not riding or sitting at a desk. It is now becoming common for officers wearing short sleeve shirts to have problems with over exposure to the sun resulting in skin cancer. 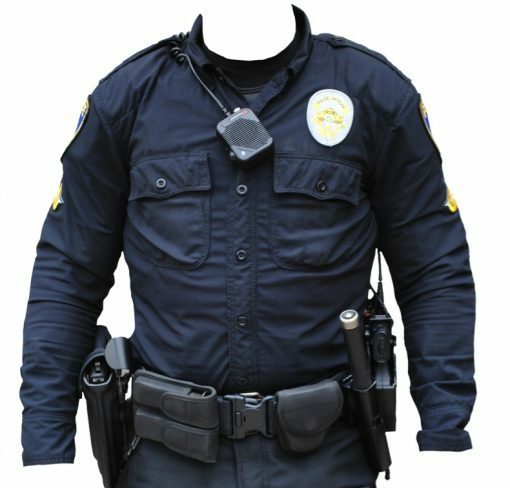 To top off the list of problems, traditional police shirts offer zero protection in a crash, on a foot chase or when in a fight. Works better in hot weather than any other material currently available. Elbow/Forearm, Shoulder armor for impact protection. Should last 2 to 3 times longer than a duty shirt. Will not show sweat in the extreme hot weather. Stronger Seam Strength, Tear Strength. 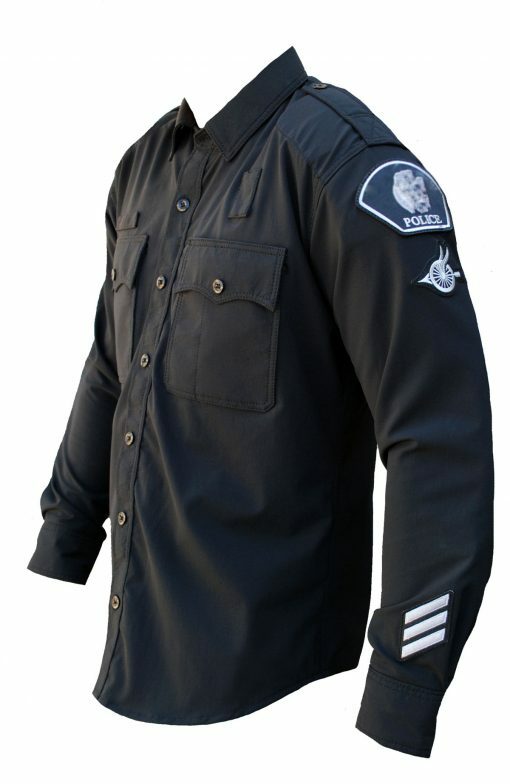 Long sleeve UV protection, cooler than a short sleeve duty shirt. Machine Washable armor and all, will hang dry quickly. Will stay cleaner, repel water, dry quickly. Better Guarantee. 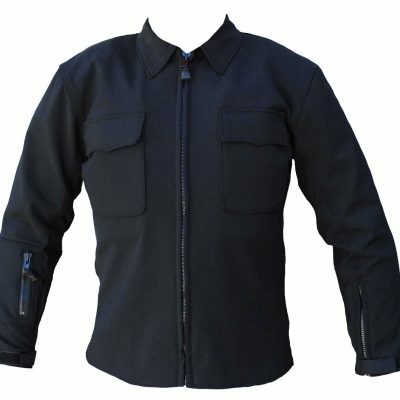 If a rider crashes and Motoport cannot repair for less than 50% of a new shirt, we provide a new shirt for free. • Entire Front, back and sleeves of shirt are made with a Dynatec/Lycra Weeve. 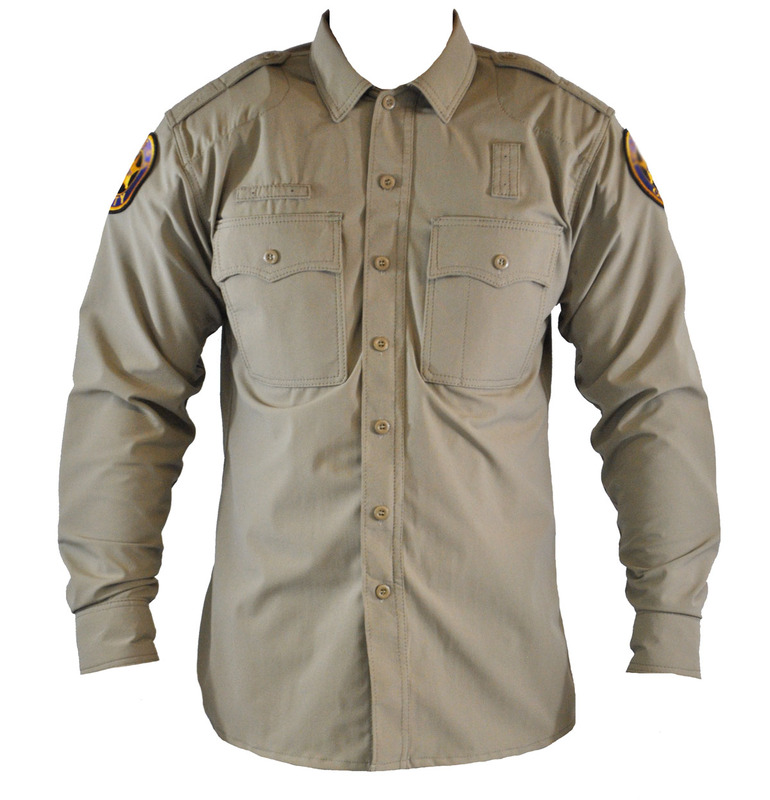 This material is not as tear/abrasion resistant compared to our other Shirts, but it does offer more protection compared to a traditional duty shirt. 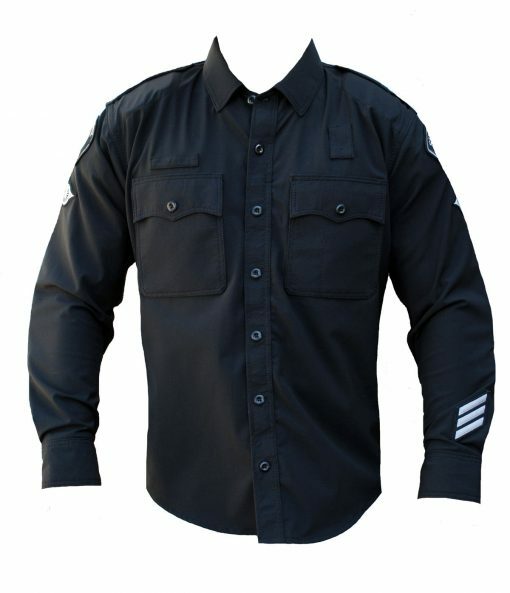 This shirt has impact protection in the shoulders and elbow/forearms. 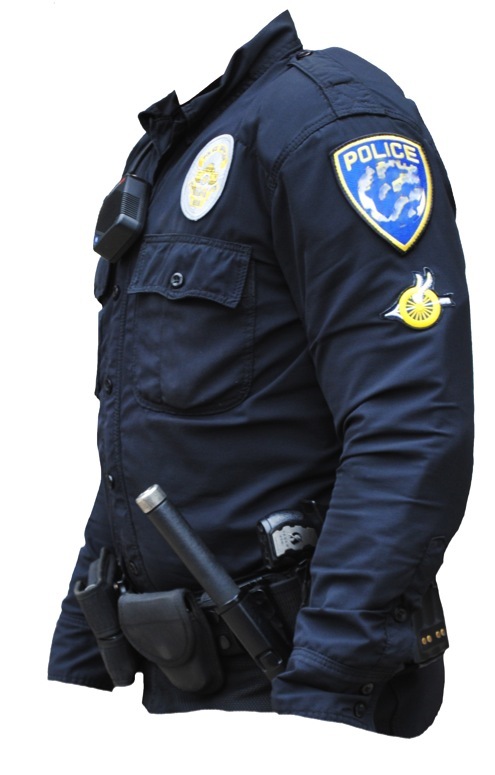 The zip cuffs will also not ride up the arms in a tumble like the standard duty shirts. 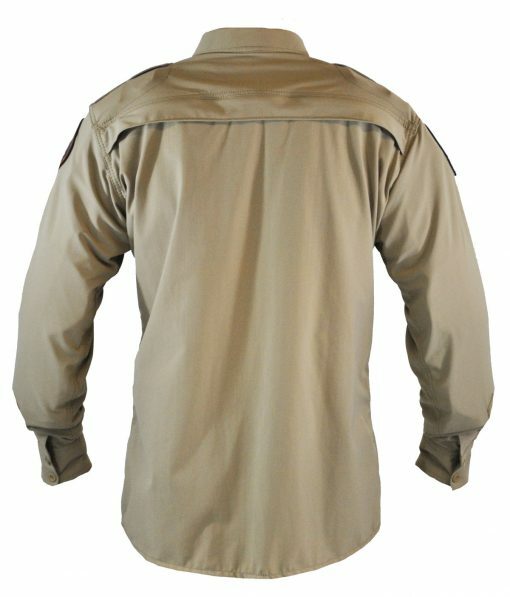 The material also has a higher abrasion rating over the standard duty cotton/wool blend shirts along with exceptional tear strength. * We currently sell both black and a dark blue. Both colors do not absorb heat in the sun like the traditional shirts. 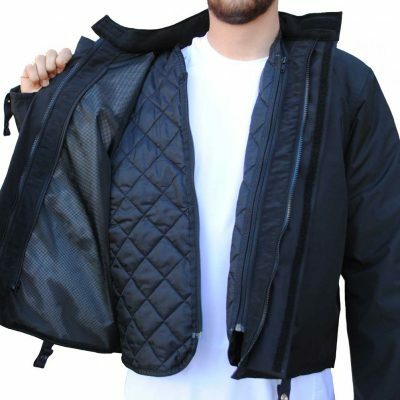 * The exceptional feel of the material and comfort for all uses see: http://www.schoeller-textiles.com/en/technologies/nanosphere.html * Long YKK Zipper Vent that runs across the back upper shoulders. Vent cannot be seen when Velcro flap is closed that covers the zipper. Collar is sewn down. 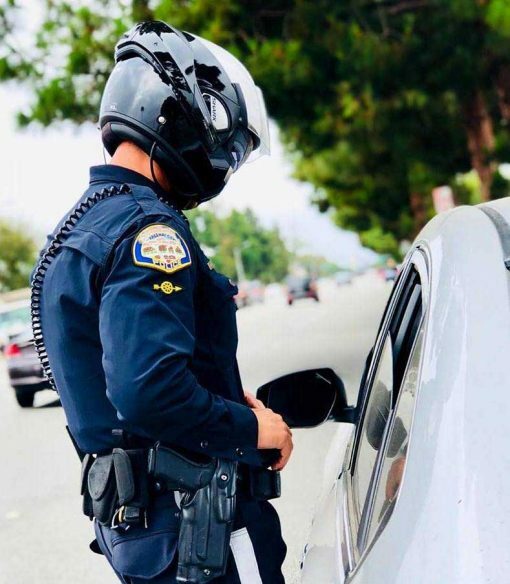 This was done to match the standard Police shirts • YKK Zipper to open/close the front, with buttons to match the traditional duty shirt appearance. 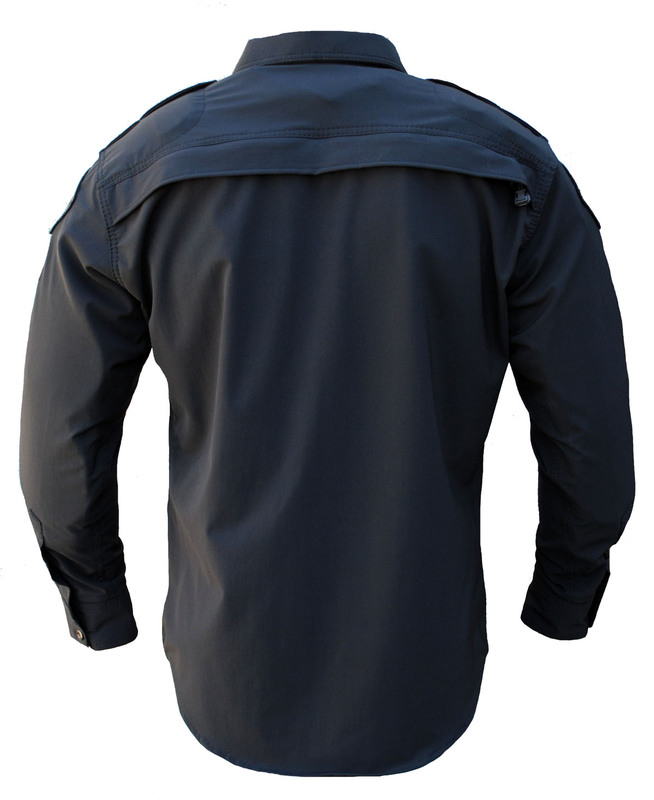 Zippered sleeve cuffs with a button closure to again match the traditional duty shirt. 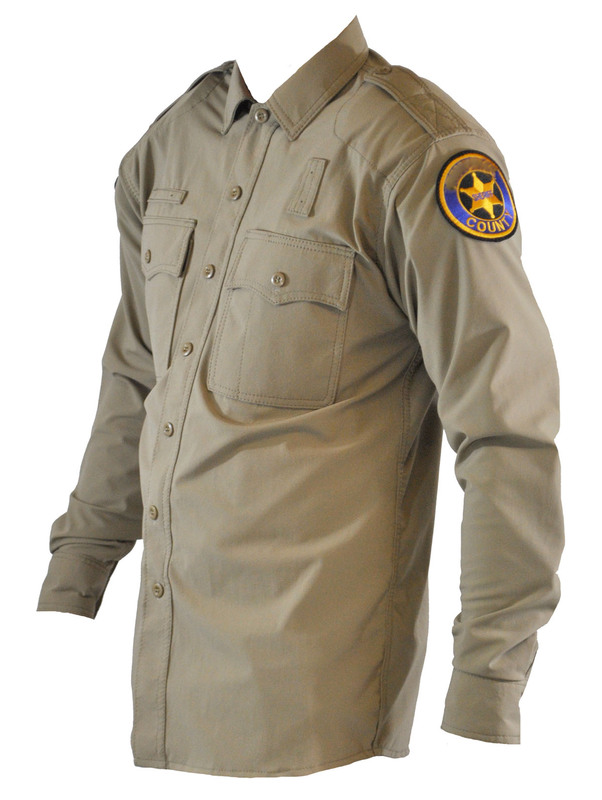 For perfect sizing Motoport request that you send us a long sleeve duty shirt. Note: We will not make short sleeve shirts. When the order is placed Motoport will provide a Return Authorization #, along with our ship to address to send the shirt. Sit on the bike wearing the shirt that you intend to send. If the sleeves are too short, please let us know how many inches it is too short, in a letter sent with the shirt. If you send a tight fitting shirt the Air Mesh Shirt will fit tight. Please send a shirt that fits your body sizing well. If you intend to wear a Ballistic Vest under our shirt it is important to send a shirt that fits well over the Ballistic Vest. • The Motor Duty Shirt is custom and is non returnable. If there is a sizing problem we can always alter the shirt. * Motoport can repair the shirt after a crash. * Two year warranty from fading. * If shirt repair cost exceed 50% of the cost on a new shirt after a crash, Motoport will replace with a new shirt no charge. Many police departments Motoport deals with, have troubles getting approval to change gear. 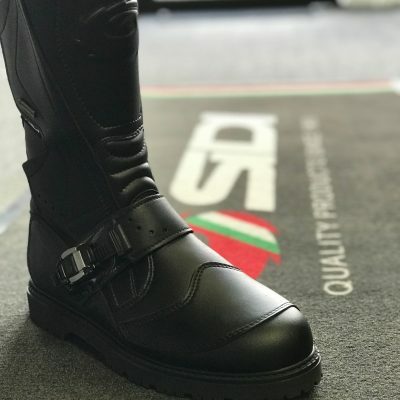 Motoport can provide a document to present to Administration for getting the gear change approval. This document has been used by many departments and also has been studied and approved for use by an attorney. Please contact us if you would like to use this document. 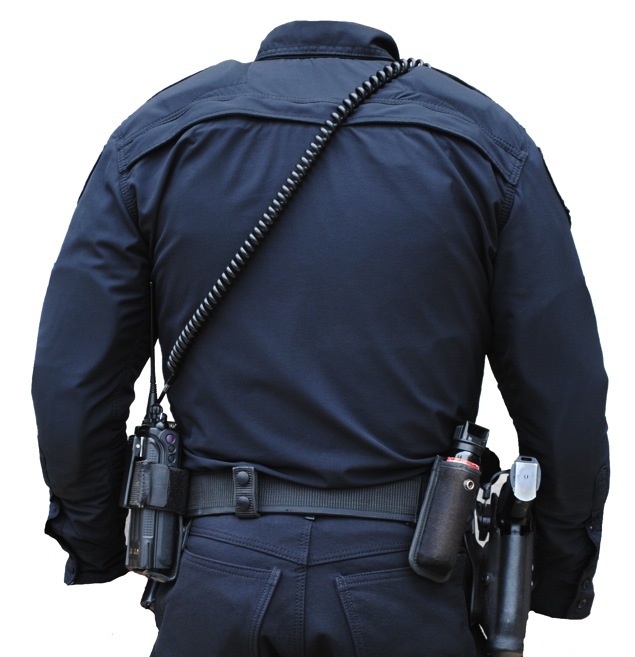 Motoport can also provide a current list with contact names and phone numbers of the departments wearing Motoport’s police apparel. These departments have given us approval for other police to contact to verify Motoport’s claims and help with questions. Please contact us if you would like us to send this document. Motoport is also available to send employees to provide a presentation at your facility.